Vanaire provides custom designed corrosion resistant PVC wet scrubbers. Polyvinyl chloride plastic is a cost-effective, lightweight, non-toxic, incredibly strong and substantial material that currently widely substitutes such building materials as metal, concrete or wood. Vanaire team of designers and engineers have enormous expertise in working with polyvinyl chloride and constructing high quality PVC applications. Crossflow or countercurrent, a PVC wet scrubber manufactured by Vanaire will perform unrivalled productivity and efficiency in removing water-soluble contaminants. 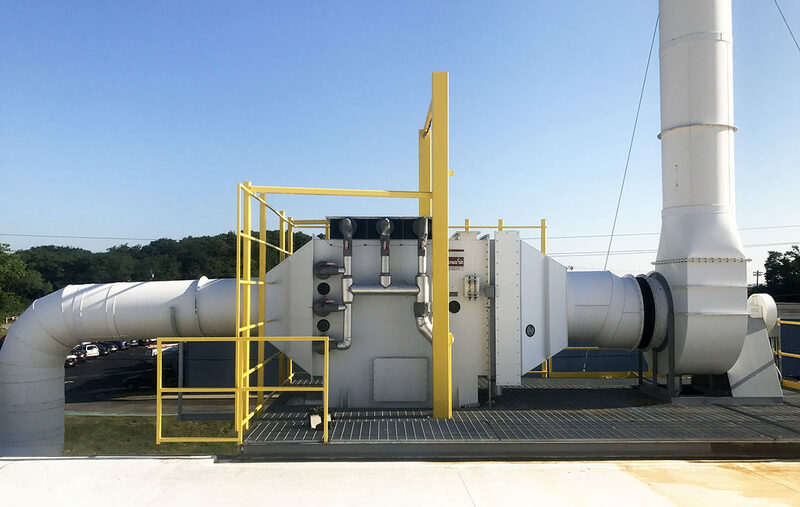 Designed specifically to your needs and state compliance requirements Vanaire PVC fume scrubbers are an excellent solution for even the toughest manufacture environment.